A good shrimp dish should be two things — quick to prepare and even quicker to devour. As we've got an abundance of waterways and seafood-rich cities such as Biloxi, Charleston and New Orleans, a healthy respect for shrimp is almost an essential part of being Southern. We'll take them barbecued, grilled and, of course, in gumbo. It really doesn't matter as long as these sweet crustaceans are fresh and readily available. 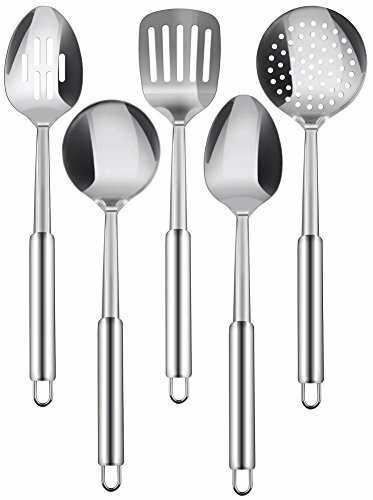 Ready to get cooking? 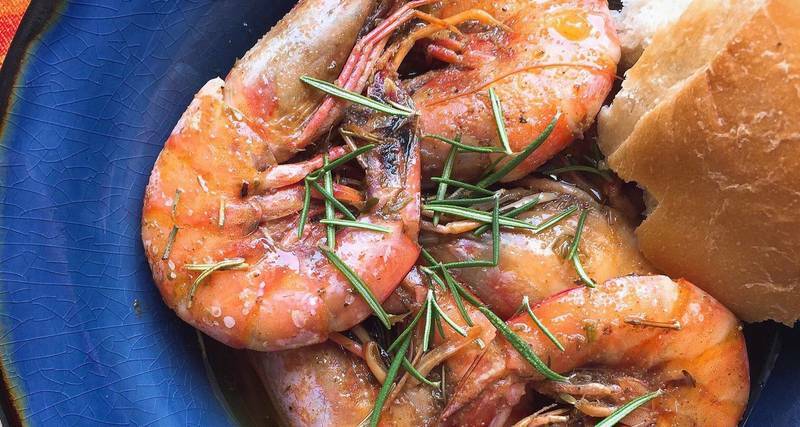 Read on for 21 of our favorite Southern shrimp recipes. 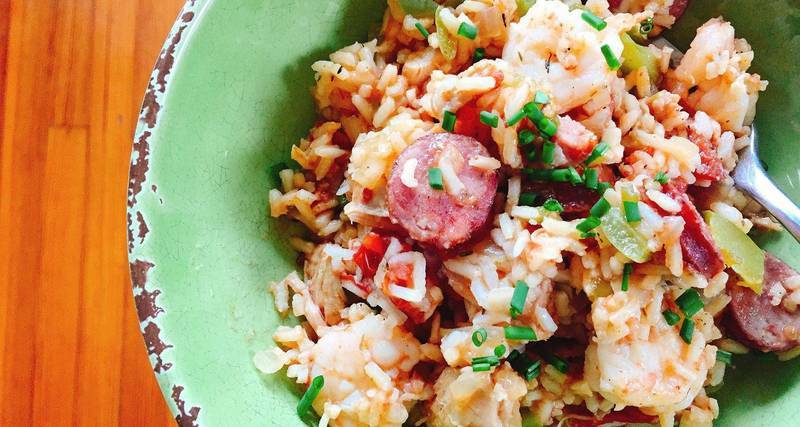 This quintessential New Orleans dish is famous for one simple reason — it's delicious. Usually served as a cold appetizer, this recipe features expertly poached shrimp and a classic mayonnaise- and sour cream-based remoulade sauce. We like to serve the dish in cute little lettuce cups, but you can also toss the saucy shrimp with freshly washed lettuce greens for a forkable salad. Shrimp scampi is just one of those dishes that once you have, you'll crave for the rest of your life. Made with a healthy helping of garlic, parsley and Italian bread crumbs, our scampi is served over fluffy basmati rice. This recipe comes courtesy of Southern Kitchen reader and cookbook author Anna Marlis Burgard, who said she "tinkered with this recipe for years, but it finally came together after living on Tybee Island, where the trawlers are still docked on Lazaretto Creek." This is truly a savory and bright meal. 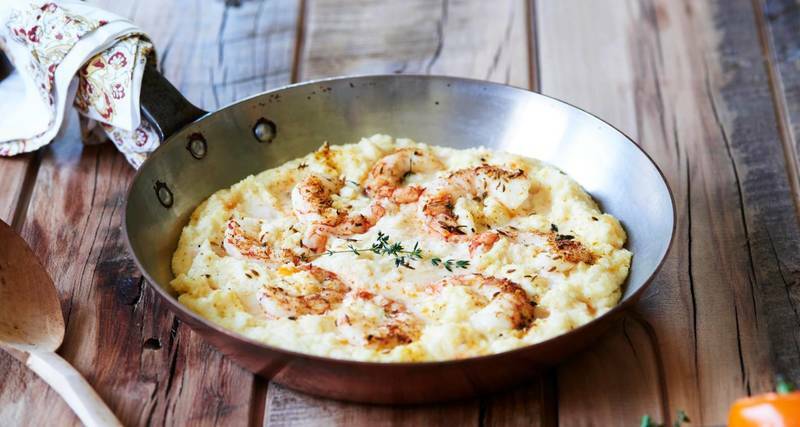 There are three secrets to Anne Byrn's favorite shrimp and grits: The first is to use really fresh, and preferably local, shrimp. But if you cannot find local shrimp, then do the next best thing and buy frozen Argentinian Red Shrimp from Trader Joe's. They are sweet and more lobster-like in flavor than most shrimp. Secondly, don't overcook those shrimp. With the method in this recipe, you cannot overcook them because they are nestled raw right in the grits and baked to doneness. And lastly, use stone-ground grits. They have more texture and more corn flavor, and they make a huge difference. This recipe by Southern chef Virginia Willis combines three popular things — shrimp, butter and beer to make one tasty appetizer. 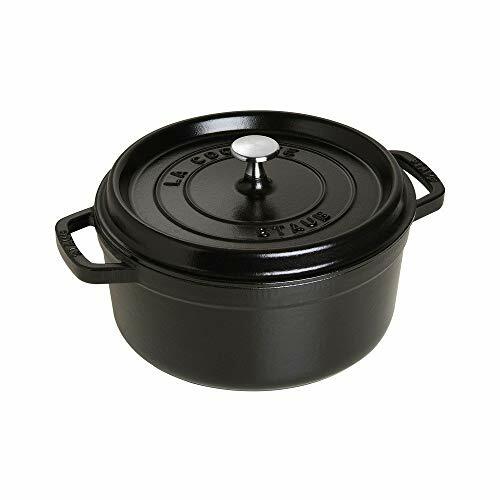 Looking for a dish you can bring to parties, potlucks or barbecues? 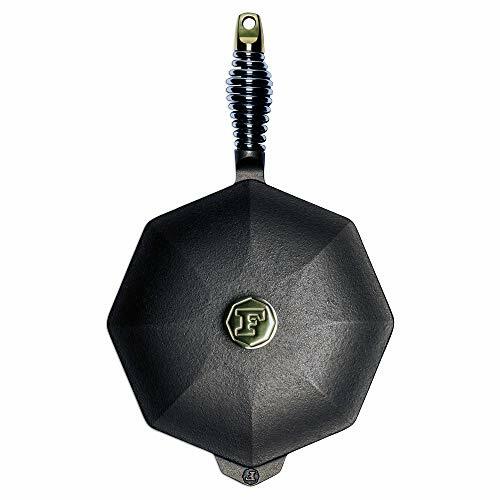 Look no further then this no fuss tasty treat. Another reason to make this recipe ASAP? You don't have to peel the shells off of the shrimp. Keeping them on adds extra flavor. Who says a shrimp boil requires a pot? 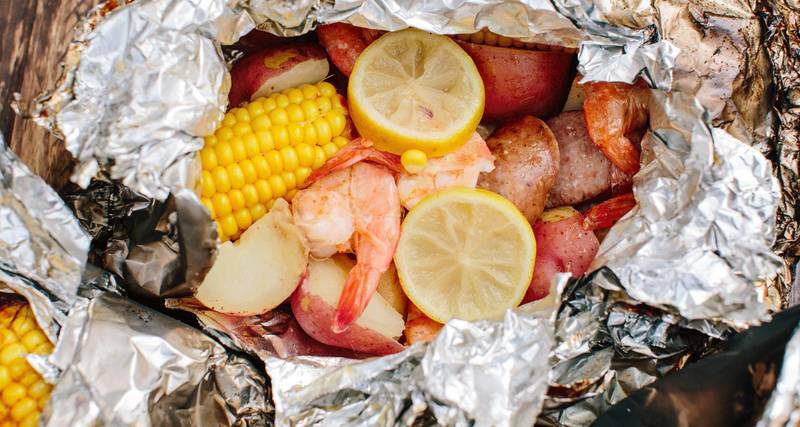 Capture the same flavors of a classic Low Country boil in a convenient aluminum foil pouch. The foil allows the shrimp and corn to steam, almost as if they had spent time in a giant pot of seasoned water. This recipe works well outdoors over a campfire or indoors in the oven. How doesn't love a good deviled egg dish? It's practically a prerequisite to being a Southerner. An instant party favorite, this easy and elegant recipe for deviled eggs with shrimp and olives is absolutely perfect for Easter and any other family-style meals that needs a solid appetizer. This is a classic dish that’s quick, delicious and great for an easy weeknight meal — and it's also impressive enough for entertaining. Be sure to choose fresh shrimp that are all about the same size, so that they cook evenly and at the same rate. Great as a light lunch or a hearty side for an outdoor party, this summery pasta salad packs big flavor, mainly from the Fresno chile and fresh herbs. Unlike rotini, penne or farfalle — the most typical choices for pasta salad — orzo never becomes firm and gritty once cooled down. If you're going to prepare this salad in advance, wait to add the basil closer to the time you plan to serve it. The flavor will not be impacted, but you'll preserve the basil's bright green color. 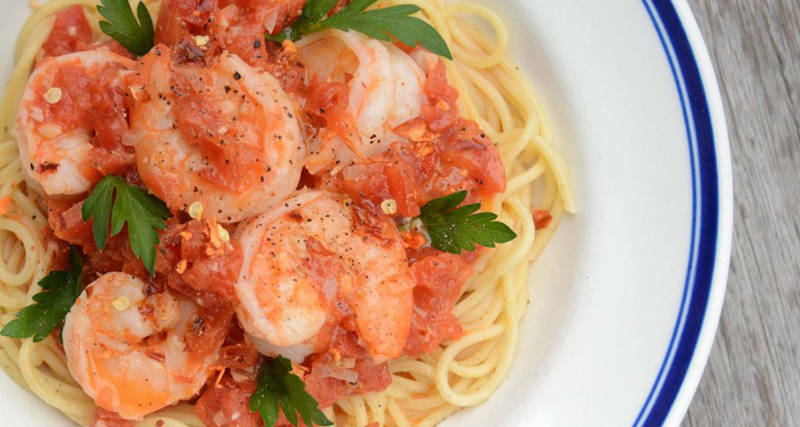 For this recipe, garlic, red pepper flakes, white wine and high-quality European butter are used to create a mouthwatering shrimp pasta dish that's as fun to eat as it is easy to make. The butter helps to not only add a creamy mouthfeel to the sauce but also to bind all of the ingredients together in an almost gravy-topping for pasta. It's really easy to spice up a simple seafood, meat or chicken entree with the addition of canned chipotles in adobo sauce or smoked dried jalapeños in a spicy red sauce. In this dish, a chopped chipotle is mixed with tartar sauce to add a big burst of distinctive flavor and a touch of heat. If you can take even more heat, drizzle some of that adobo sauce on the shrimp before grilling. 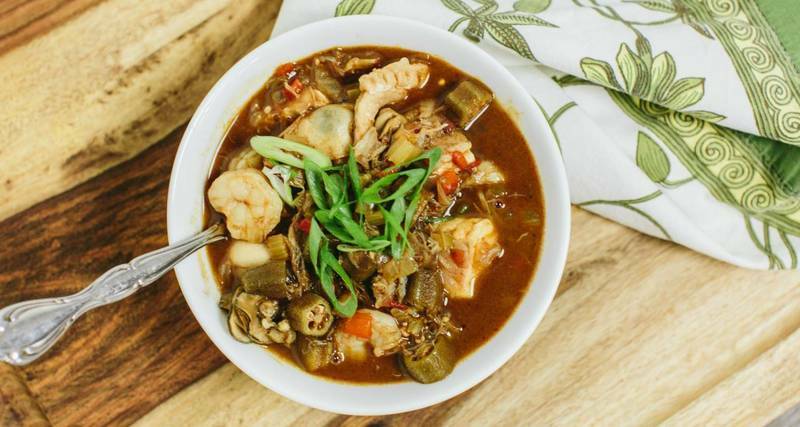 Briny seafood adds amazing flavor to a rich, soulful gumbo. And it wouldn't be a seafood gumbo if we didn't include shrimp. If you have leftover shrimp shells and heads, you should make your own seafood stock to add even more depth to your gumbo. Traditional gumbo recipes call for green bell peppers, but we prefer to use more-flavorful poblanos instead. Feel free to substitute one diced green bell pepper for the poblano if you prefer. A one-dish meal like this one doesn't have to mean boring, especially when the salad is brightened by the addition of grilled fruit, in this case peaches. Grilled shrimp can stand up to an assertive green like arugula and sweet and juicy grilled peaches are the perfect counterpart to a tangy blue cheese. 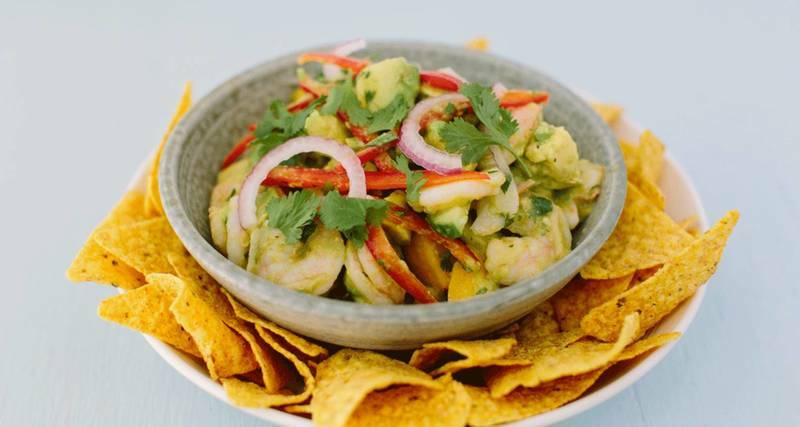 The process of making ceviche involves using the acid from citrus fruit to cure or “cook” seafood without applying any heat. This works beautifully with fresh fish, but shellfish like shrimp and scallops tend to have an unappealing texture as a result. To combat this, we’re giving the shrimp a quick blanch to cook most of the way through, then finishing the job in the citrus juices. Don't forget the tortilla chips! Imagine crawfish, crab and shrimp all simmered together in a buttery cream of mushroom broth that was later topped with mild cheddar cheese. That would be absolute heaven — and if you choose to cook up this recipe, it can be yours. While this casserole starts out on the stove top it's finished in the oven and served pipping hot with rice. 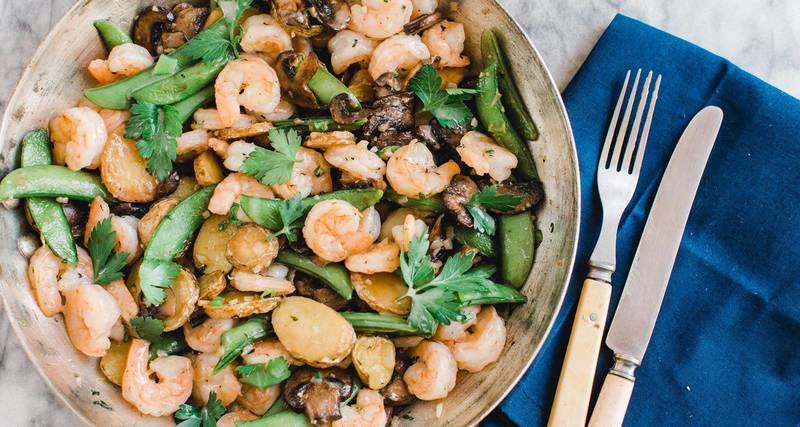 Popularized by stalwart New Orleans restaurants like Dooky Chase and Galatoire’s, shrimp Clemenceau involves sautéing shrimp with mushrooms, peas and Brabant potatoes, before serving in a light lemon butter sauce. To make the process easier, we’re using roasted fingerling potatoes instead of the traditional cubed russets, then making a pan sauce with lemon juice and butter. What would this list be without the inclusion of fried shrimp? This quick and easy fried shrimp recipe is a great introduction to making your own fried seafood. Feel free to modify the spices used in the breading; add more spice or back off on the Old Bay as you'd like. Jambalaya cooked in the Instant Pot is the best way to enjoy this hearty dish on a busy weeknight or to feed a crowd on game day. Tasso adds just the right amount of smoke and spice, but if you can’t find it near you, opt for regular smoked ham from the deli. Literally meaning “to smother,” etouffee is a Cajun staple filled with with crawfish, shrimp, or both. This recipe will yield a flavorful base sauce, so you should feel free to add whatever seafood you like at the very end. Pho is a Vietnamese broth-based soup, usually featuring thinly sliced beef or meatballs. 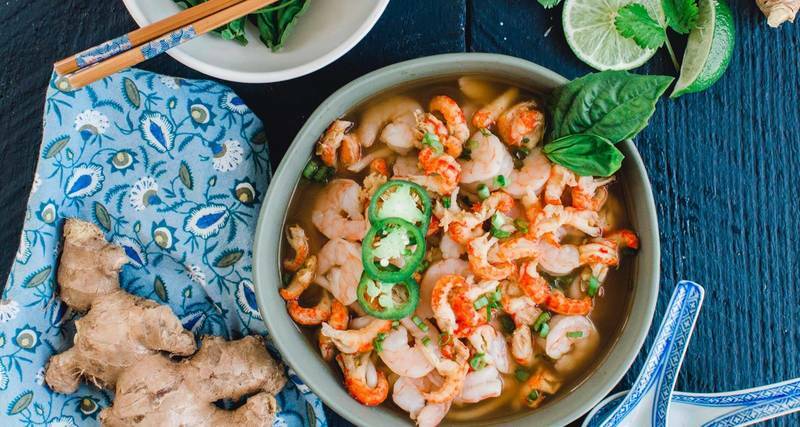 Since New Orleans has a large Vietnamese population, we’ve given the traditional pho a bit of a Big Easy makeover by using shrimp and crawfish instead. Normally discarded, shrimp shells pack an amazing briny punch and act as a base flavor for the broth. Get on the grain bowl train with this colorful, healthy and shrimp-filled dish. It's easier than you may think! 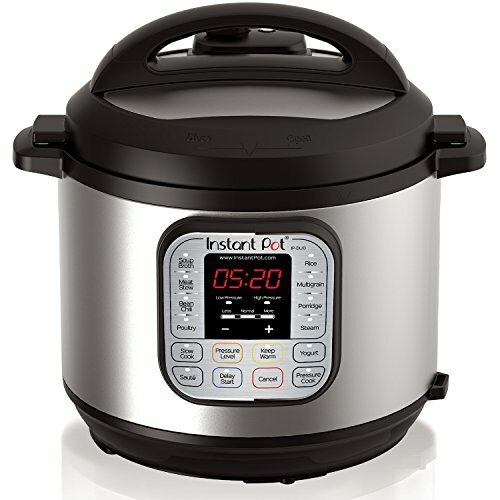 Instead of worrying about the water-to-grain ratio when cooking farro, just cook it like dried pasta: in a large pot of heavily salted water until as tender as you desire. Since most of the ingredients in the grain bowl are bright and cooling, we’ve left the seeds in the jalapeño for a spicy contrast, but feel free to remove the seeds if you prefer. A staple of Louisiana cuisine, a po’boy can take on a variety of fillings, from simple ham and cheese to more decadent fried seafood. 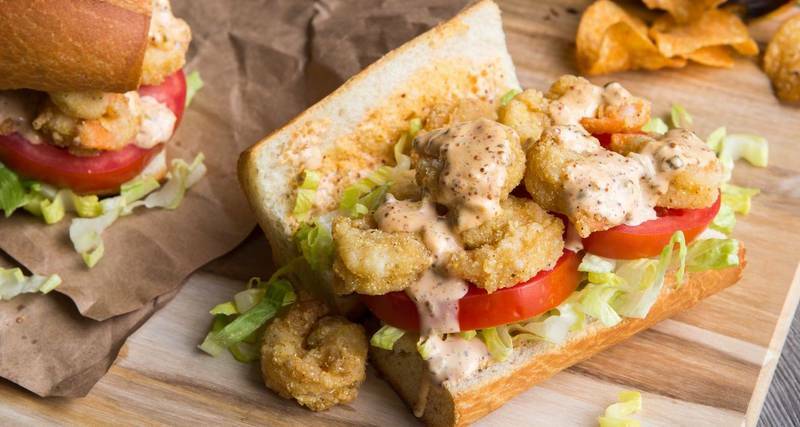 You can use any combination of seafood — shrimp, crawfish or oysters — but a classic shrimp po'boy is hard to beat. When buying shrimp, the size of the shrimp will be noted with a corresponding number (such as 21/25), which refers to the approximate number of shrimp of that size needed to make one pound. The smaller the number, the larger the shrimp. For these po’boys, look for either 26/30 or 31/40 shrimp.